My wife and I went to a library the day before yesterday. A book caught my eye. Before borrowing, I leafed through that book. The content of its book was interesting ! 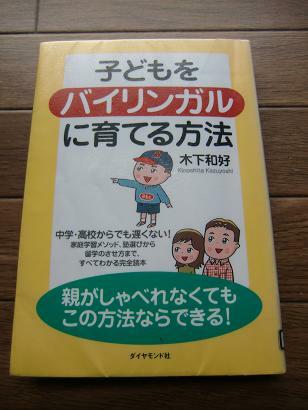 I think this will help me become bilingual as same as Sally-san's blog. I'd like to absorb the meat and potatoes of it.